Gender and Transitional Justice provides the first comprehensive feminist analysis of the role of international law in formal transitional justice mechanisms. Using East Timor as a case study, it offers reflections on transitional justice administered by a UN transitional administration. 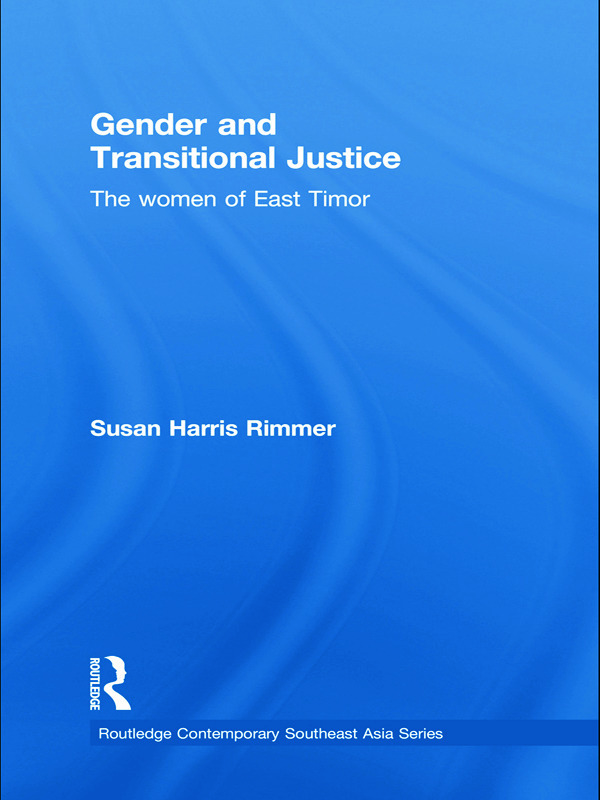 Often presented as a UN success story, the author demonstrates that, in spite of women and children’s rights programmes of the UN and other donors, justice for women has deteriorated in post-conflict Timor, and violence has remained a constant in their lives. This book provides a gendered analysis of transitional justice as a discipline. It is also one of the first studies to offer a comprehensive case study of how women engaged in the whole range of transitional mechanisms in a post-conflict state, i.e. domestic trials, internationalised trials and truth commissions. The book reveals the political dynamics in a post-conflict setting around gender and questions of justice, and reframes of the meanings of success and failure of international interventions in the light of them.